A Lodge Safari means that you stay in luxurious, and generally in a typical African manner of spending the night. A Lodge Safari means that you stay in luxurious, and generally in a typical African manner of spending the night. You sleep in very comfortable maisonnettes (lodges) with in many cases sheer roofs, and the interior is typically African, with a multiple use of wood, colored carpets and African wood crafts. Most of the lodges have internet connections, swimming pools and more facilities. Very comfortable. (Option 1): A two-day safari, including an overnight stays in a Lodge, you visit for example; Tarangire NP and Lake Manyara NP. (Option 2): A three-day safari, including two overnight stays in a Lodge, you visit for example; Tarangire NP, Lake Manyara NP and the Ngorongoro Crater. (Option 3): A three-day safari, including two overnight stays in a Lodge, you visit for example; Arusha NP, Tarangire NP and Lake Manyara NP. (Option 4): A four days’ safari, including three overnight stays in a lodge, you visit for example, Arusha NP, Tarangire NP, Lake Manyara NP and the Ngorongoro Crater. (Option 5): Five day safari, including four overnight stays in a lodge, you visit for example; Tarangire NP, Lake Manyara NP, Ngorongoro Crater and a two-day visit to the Serengeti NP. (Option 6): A six day safari, including five overnight stays in a lodge, you visit for example; Arusha NP, Tarangire NP, Lake Manyara NP, Ngorongoro Crater and a two-day visit to the Serengeti NP. 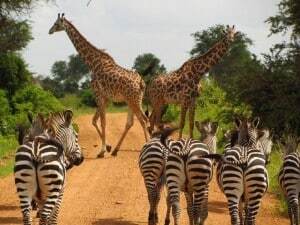 It is also possible to compose your own safari (look at the Bookings form), extend your Safari or we compose another program for you, tell us your wishes and we will try to realize them. In the morning you are picked up around nine o’clock at your hotel, hereafter you drive to the Tarangire National park for a full day of Wildlife viewing in this beautiful Park. Tarangire NP is famous for its huge amount of elephants, no were in the world you will find more elephants per square km as in this Park. You spend the night in the Lodge, where you have a great dinner, and enjoy the views over the savannas. Also a refreshing dive in the swimming pool belongs to the possibilities. In the morning you can enjoy your breakfast in the lodge, afterwards you drive to Lake Manyara National park. Here you will visit all the parks highlights, one of these highlights is the tree climbing lions, you will find them lying on a thick branch, enjoying a meal, or just to rest. After you game drive through the Park you drive back to the Lodge, and you will enjoy the beautiful panorama views over the Lake and its landscapes. 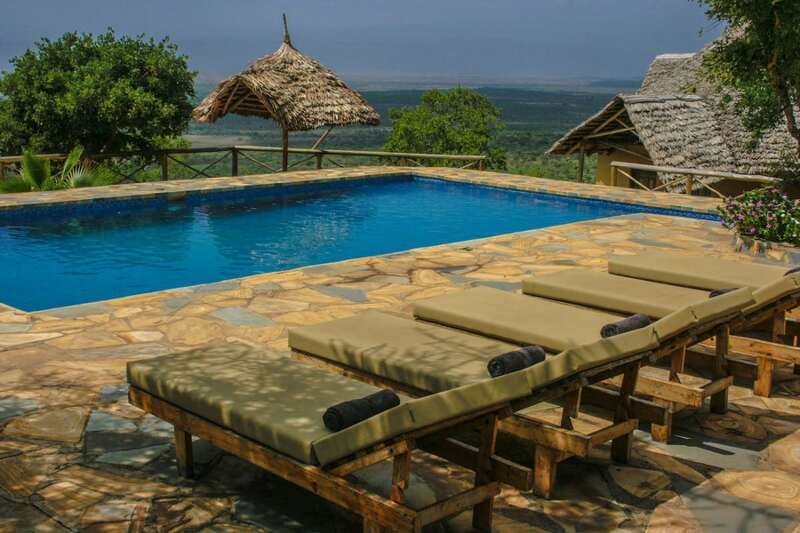 Back in the Lodge you can take a dive in the pool, or make a walk to the small village of Mto wa Mbo, in this village you can visit an interesting Maasai market. After dinner you have time to talk about today’s highlights, and enjoy a nice cocktail. After breakfast you drive to the Ngorongoro Crater. At the entrance of the park a small museum has been arranged. The museum tells you more about the existence of the crater and its history. The way to the crater brings you through the tropical rain forest on the foot of the crater, after fifteen minutes you will reach the point where you can overlook the whole crater. This is a fantastic sight, when you take your binocular you see groups of zebras, wildebeest or elephants grassing the plains. After that you descend the crater where you visit the crater floor, and watch all the wildlfe. Afterwards you drive to your Lodge where you have dinner and spend the night. After breakfast you drive to the Serengeti, here you will stay two days to get a really good view of the park. On the way to the Serengeti you pay a visit to Olduvai gorge, here is where Mary Leaky found very old fossils that dated back millions of years, she found fossils of the predecessors of the present homo Sapiens (look for further information at parks and accommodations on the front page). The endless grass plains, with thousands of wild animals is one of the highlights of this Safari, and it will be an unforgettable experience. Here you enjoy your supper and the grand views which the Serengeti offer you. If you have booked a balloon safari, then will be this morning. You are picked up at your hotel Serengeti ball remunerations Safari’s, and drive to the point where the balloon will leave, after the brunch you are brought back to the hotel, where you go further with your programme. At the end of the afternoon you fly back to Arusha, where you are brought to your hotel. Breakfast, lunch and diner are served in your accommodation, because all luxurious lodges include everything. English speaking driver/guide, luxurious safari car, petrol, binocular, bottles of mineral water, luxurious accommodation in four or five star lodges and park fees. In a multi-day luxury safari lodge overnight in lodges and / or luxury tented camps. In a multi-day camping safari you stay in a tent every night is set up for you. You can decide how many days you want on safari, this can be as little as a day. Ask us about the possibilities!